By Dr HJ Sartorius von Bach. The second National Land Conference called for higher productivity and availability of land for achieving social justice. His Excellency, President Geingob referred to opening up space for emerging farmers. Many resolutions were formulated, such as to encourage the large communal farmers to be relocated to commercial areas to free some grazing for smaller communal producers. The question to be asked is: Why has relocation not happened before? Cattle ownership is very important in the Northern Communal Areas (NCA). About 60% of all households own cattle on their 16 million ha of rangelands following a production system based on relatively small herd sizes. A longitudinal comparison show that the average herd size increased in all NCA regions and that on average the size of household herds almost doubled in 13 years. However, herd ownership is very skewed with less than 20% of households owning herds larger than 30 cattle. The reference made at the land conference reflects to cattle owners with more than 300 cattle which is marginal in the broader context of local ownership. It is clear that from an animal husbandry perspective, cattle marketing is limited with these small herd sizes. The Delphi method was used to derive regional production drivers. From the table it is clear that regional averages differ, that drivers differ significantly from optimum production levels and that the regional cattle and land sizes differ significantly. It has to be understood that production drivers depend on soil conservation production practices, i.e. soil security in some regions is significantly inferior to others. 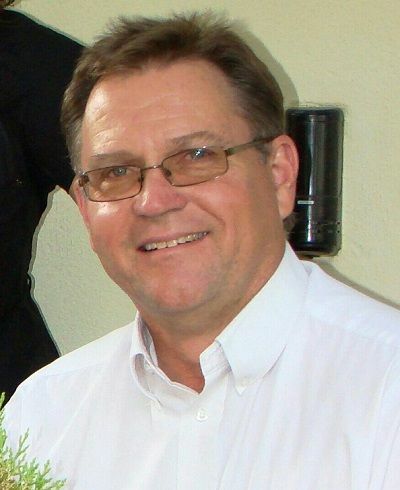 It is widely accepted that soil and water security will increasingly underpin the Namibian social stability and security, as referenced in the land conference resolutions. Based on research, these small herd sizes do not result in scale benefits and produce low taxable returns. 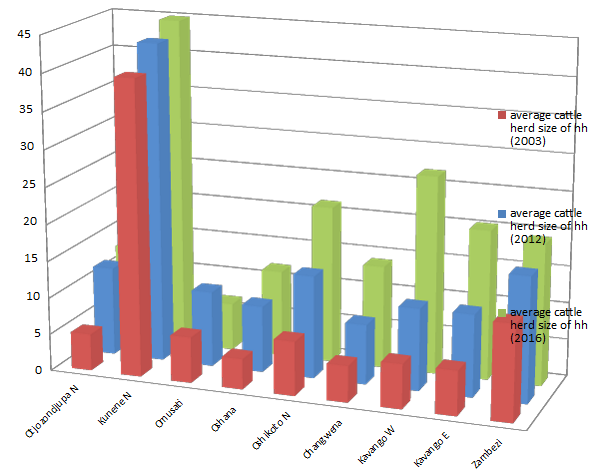 The figure below is based on the national averages and presents that Omusati cattle-post ox producers for example yield higher returns than the Kavango small-scale weaner producers. As a comparison, both scenarios achieve positive returns and compares well with the average commercial ox producers south of the cordon veterinary fence (indicated as SCVF in the graphs). Both communal and commercial ox producers sell their oxen locally at above N$8000 each, while the weaners are traded for about N$5400. Investigations showed that equal produce yielded similar prices. 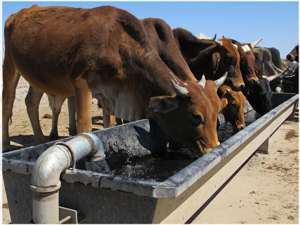 The producers’ value chain illustrates some differences in the Namibian cattle production system. The value of the newborn calf is higher for the communal farmer than for the commercial farmer, and the commercial farmer has significantly higher water, fuel, vehicle, maintenance, finance and other costs. It is interesting to observe that only labour and vaccination costs are similar between communal and commercial farming enterprises. The value chain changes once communal producers operate at optimum levels, i.e. achieving increased fertility above the national average of approximately 50% to an optimal level of 80%. As a consequence, the production circumstances of these larger producers result in benefitting from scale effects. The achievement of these optimum production levels in both the NCA and the commercial areas illustrates increased levels of taxable returns. This is possible from producing cattle by applying calving percentages of 80% instead of the 47% presented above, and moving from 13% mortality to 3%, which leads to an offtake rate close to 30%. The illustration clearly show that scale benefits result in increased taxable returns and related multipliers. The cost relationship between the systems does not differ. It is clear that the communal large scale ox producers are much better off than the ox producers in the commercial areas. The communal farmers’ profits are more than double than their counterpart in the commercial areas. This is a direct result of substantially lower water, maintenance, and finance costs. This illustrates the need for improved average production to stimulate prosperity and social stability. Without institutional support, it remains questionable whether large communal cattle producers, who operate productively at optimum levels, would relocate from their communal set-up to the commercial area, without further incentives. It does not make sense for them to relocate only to assume higher financial risks against a much-reduced profitability.